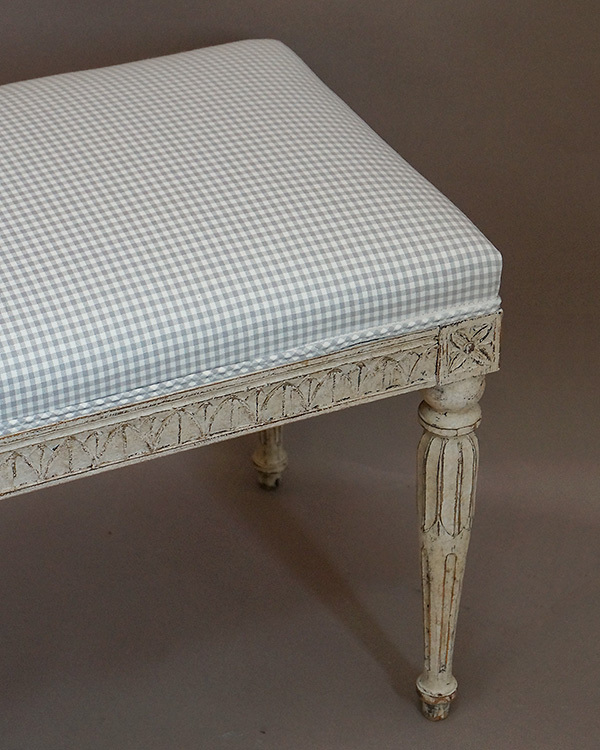 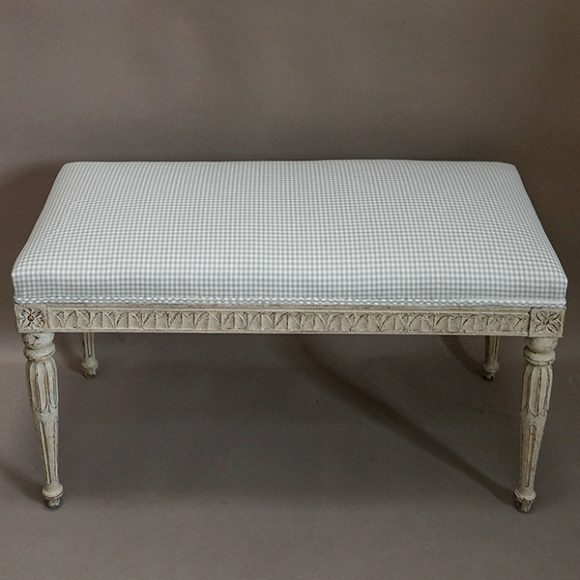 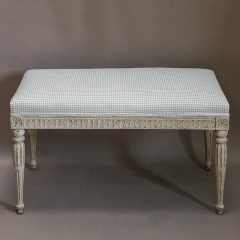 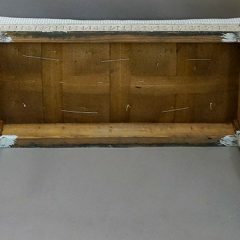 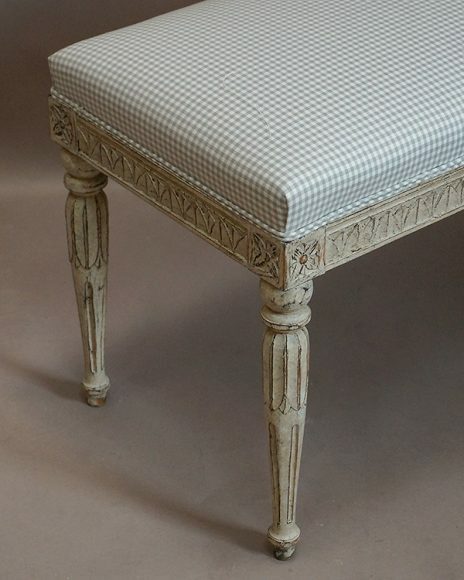 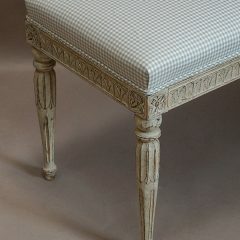 Swedish bench in the Gustavian style, circa 1900. 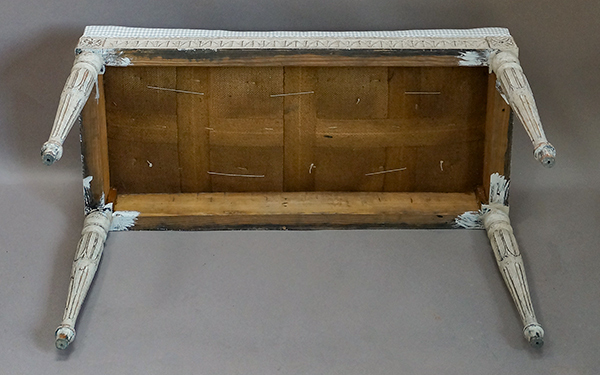 Lamb’s tongue molding on the apron with florets at the corner blocks. 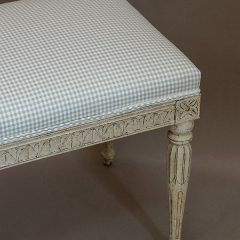 Tapering round legs with lotus blossom carving at the top.